The aftermath of a fire can be a stressful time for a family. We offer experienced fire damage services to the Central Michigan area. For almost a half century, Paul Davis has restored tens of thousands of homes damaged by fire. 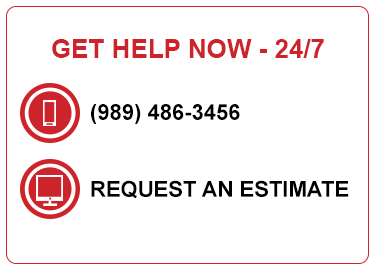 We’re here for Central Michigan by providing 24/7 assistance. Just click the “24-hour Emergency Services” button at the top of this page if you need help right now. We’ll do everything possible to arrive at your house within 4 hours. Why is using a certified fire and smoke damage restoration firm important? Flames aren’t the only destructive agent during a fire and restoring and repairing wide-spread damage is a difficult procedure. Smoke permeates far beyond the burned area, into dry wall and the attic, leaving behind pungent odors that can linger for a long period of time. After a fire, soot coats surfaces throughout your home. Choosing a company without the proper certification to help with fire restoration can cause more harm than good. Your quick-responding, certified repair and restoration experts from Paul Davis have the experience and know-how to take care of any damage caused by a fire. Safety is priority #1. Make sure your family is free of harm. We have more advice HERE. Relevant certifications and expertise matters. That’s why thousands of people across America trust Paul Davis for restoration services. Paul Davis is ready to complete any fire restoration job. You won’t regret choosing Paul Davis. Learn more about how we repair and restore your fire damaged home.